In a typical summer, our staff consists of men and women ranging in age from 18 to retirement age. Our staff members are thought of as being in one of two groups: (i) young men who serve as lodge counselors, living in a lodge with several campers, and (ii) non-lodge staff, a group comprised of men and women who offer instructional expertise or some other contribution. Our lodge counselors are the life-blood of our staff. They tend to be college students or recent college graduates. 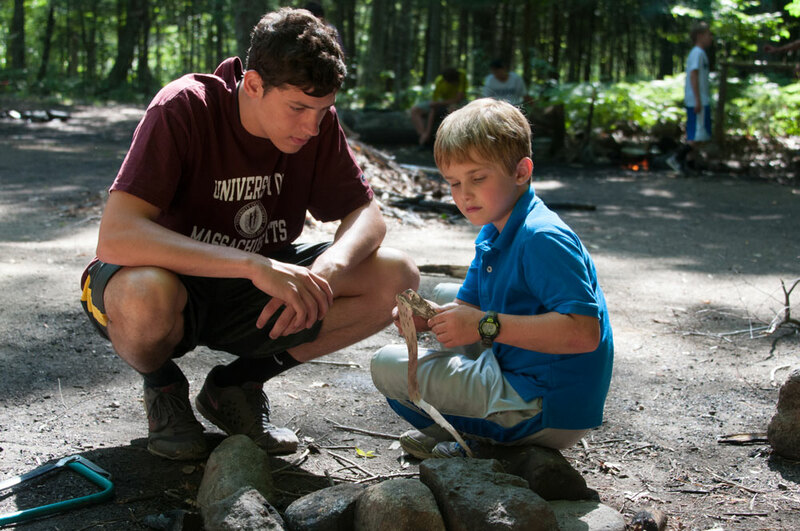 The influence of a lodge counselor upon his campers is powerful and overwhelmingly positive, and our lodge counselors understand the unique position they hold: mentor, friend, role model, surrogate parent, all in one. Boys acquire new interests and aspire to better things when they live with counselors whom they admire and want to emulate. We look for counselors who inspire that admiration and emulation, and in many cases we need not look far. 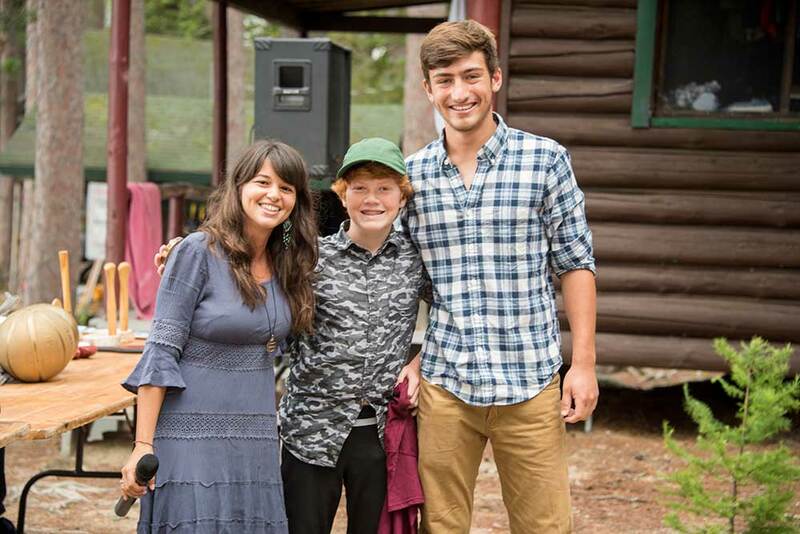 Most of our lodge counselors have grown up within our ranks, having spent several summers with us as campers. We invite them to be counselors if we have the requisite confidence in their judgment and their ability to lead. Our counselors recognize that it is a privilege to live with and mentor other people’s children, and most of them choose to return to our staff for as many summers as they can manage. Members of our non-lodge staff are a diverse group. Some live close by and commute to camp; others live on campus in staff housing. Some bring their expertise to a particular activity, such as the Ropes Course or the Woodshop; others provide support in the camp office, in the kitchen or in some other essential role. Some are educators or retired and have their summers available to work at camp; others are self-employed and carve-out their summers to dedicate themselves to the Kawanhee experience. It’s fair to say that all are essential cogs in the wheel that keeps Kawanhee rolling.